Do you need a refresher on how to yield manage your rates? How about how to make a package? 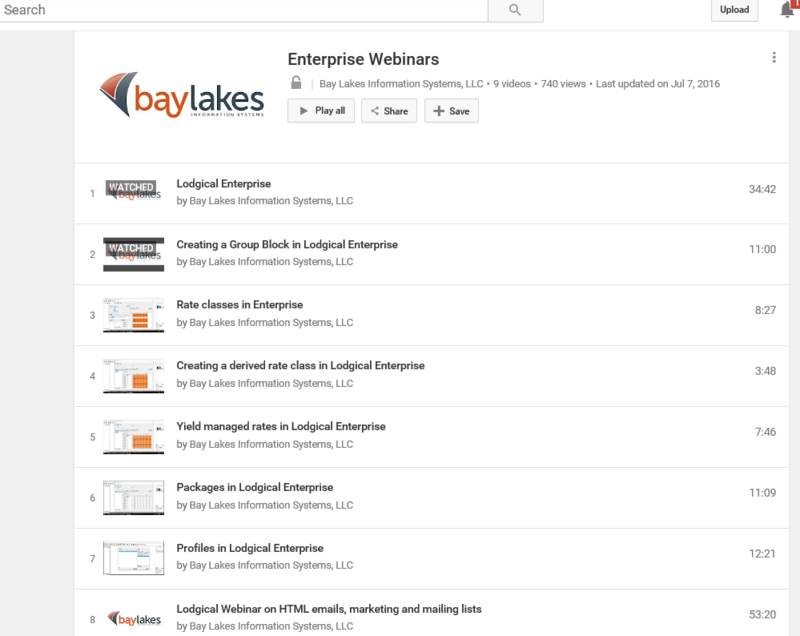 Use the Training Video link within your Lodgical Solution Enterprise and watch a YouTube video that will step you through these processes and more. To view the list of videos, follow this step. This will bring you to our site with a listing of our 9 videos.